Trishuli river rafting is a good river for beginner to intermediate level rafting, this is not to be missed. The river is class 3 to 4+ in high water so lots of fun to be had. As you get to grips with rafting, you will also get the chance to enjoy some fabulous views of the gorges and views along the Trishuli river. During monsoon season the river understandably provides a tougher challenge and the rapids increase in difficulty. Kayaking is also available if you prefer, with fully qualified experienced instructors for whichever activity you choose. You may also wish to combine your rafting trip with a visit to the near by Chitwan National Park, or the peaceful city of Pokhara. 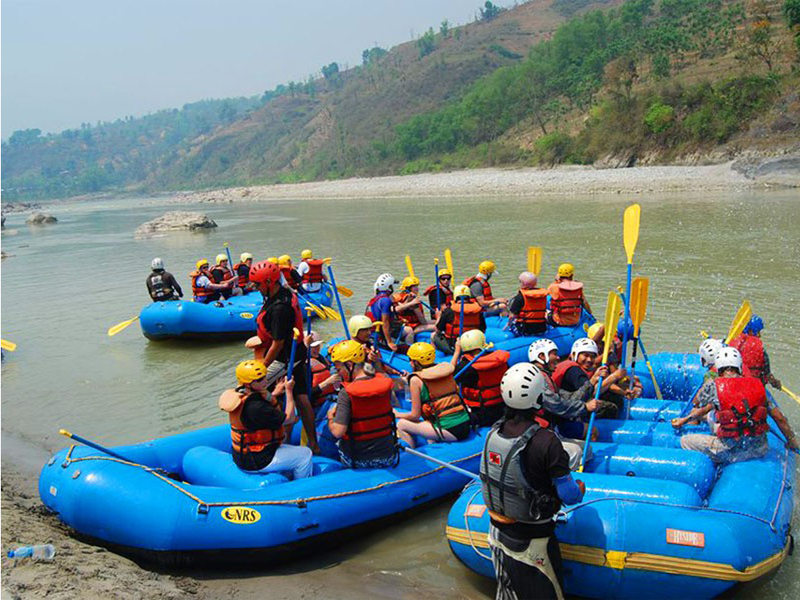 Rafting Kayaking on Trishuli river can easily be combined with a visit to Chitwan National Park or Pokhara. 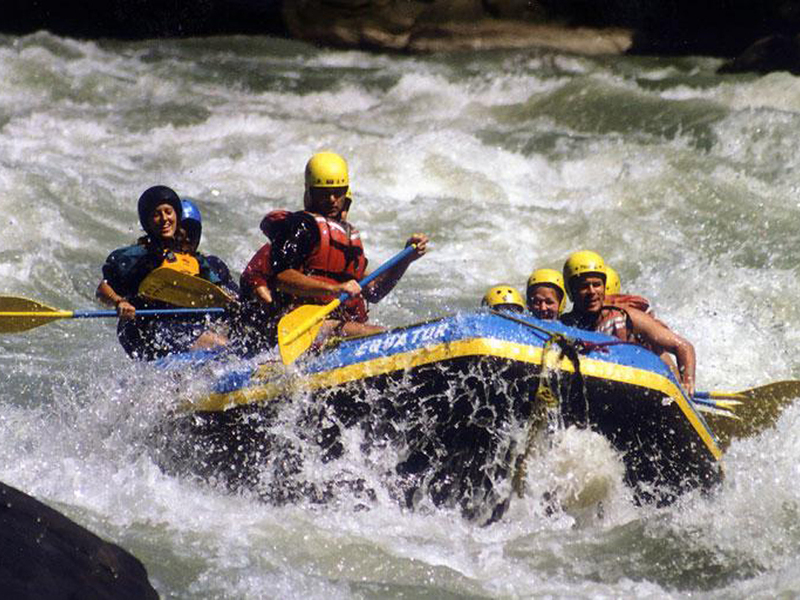 Rafting in Trishuli river is not an easy thing with lots of rapids. Average fitness is required not to be in the pain make sure you have enough experience to enjoy the rafting. Day-01:Drive to Rafting starting point. After breakfast in Kathmandu hotel, you will be driven for 3-4 hrs to the rafting starting point, Charaundi. With the help of your expert rafting guide, you will reach up to kurintar in the first day with a short lunch break within 4-5 hours. Overnight in tented camp at super location river bank. Note: This rafting can be customize for 1-3 days. 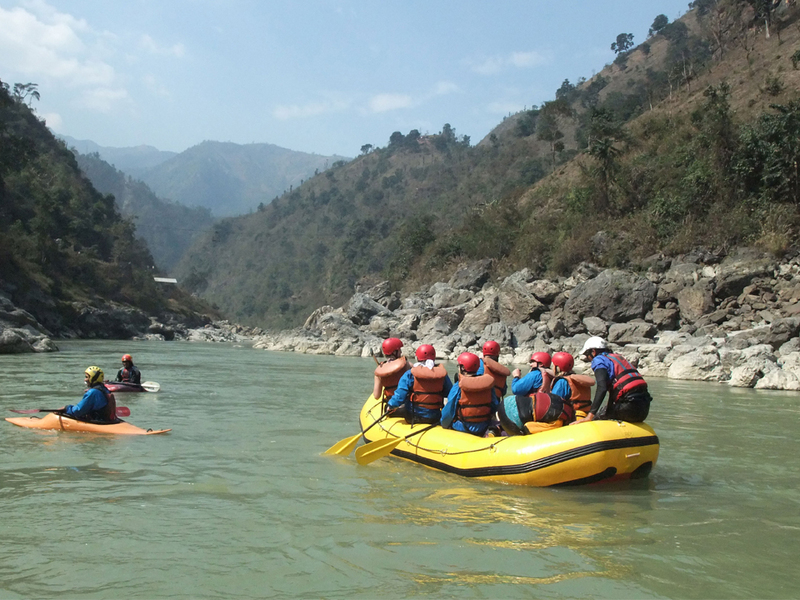 Today you will continue your rafting trip along Trishuli River with some of 2-3 class rapids. Place called ‘Simaltar’ will be the camp place for overnight stay. Day-03:Short raft and drive to next destination. Today you will be rafting for 3-4 hours after breakfast, lunch at rafting ending point. Departure on your onward destination by drive. There are options to go either Pokhara, Chitwan National Park or back to Kathmandu. During Trishuli River Rafting, we will provide tents accomodation and authentic Nepalese food (Dal Bhat) as well the more common international cuisine (Tibetan, Continental, Italian, Indian, etc.). 3 main course meals will be provided during rafting and only breakfast is included while you are in Kathmandu and. 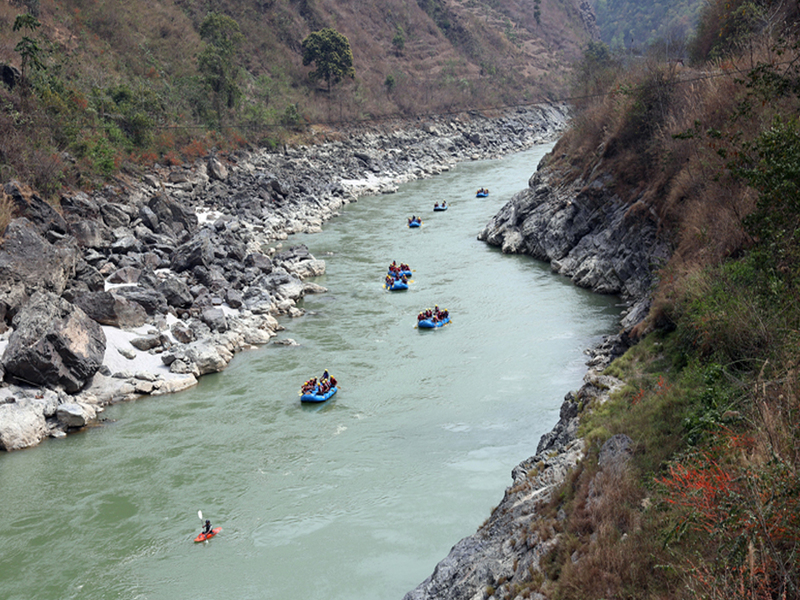 Autumn (Sept to Nov) and Spring (March to May) are the best seasons to do Trishuli River Rafting. The weather is sunny and warm with outstanding views. Please make a selection How difficult is the Trishuli River Rafting? How fit do I need to go Trishuli Rafing? What if I am a solo? Is there a supplemental for singles? When should I go for Trishuli River Rafting? What equipment do I need to go Trishuli River Rafting? Are there any ATM's on the way? Do I need to purchase my own travel insurance for Trishuli River Rafting? Will I have access to the Internet? Can I charge my camera batteries on the trip? Will my mobile phone work on the Rafting? What is the accommodation like? What happens if I get sick or get hurt while Rafting? Who are the guides? Will I have to carry all of my own stuff on the Rafting trip? Is the water and food safe on the Trip? More questions? 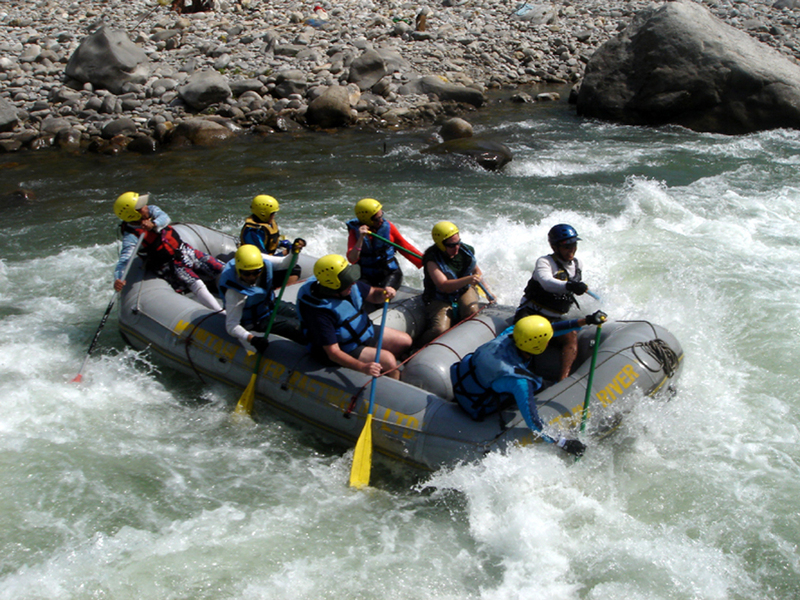 Rafting in the Trishuli river is quite normal, as a Rafter some essential item for rafting are mostly needed. There are some of rapids involved. People with weak health condition should take caution. Use caution or seek the expertise of a guide. Person must be in excellent physical condition. It is joint programe. There must be a minimum group of people for Trishuli rafting. It may also be an option to join a group, please contact us to find out more. 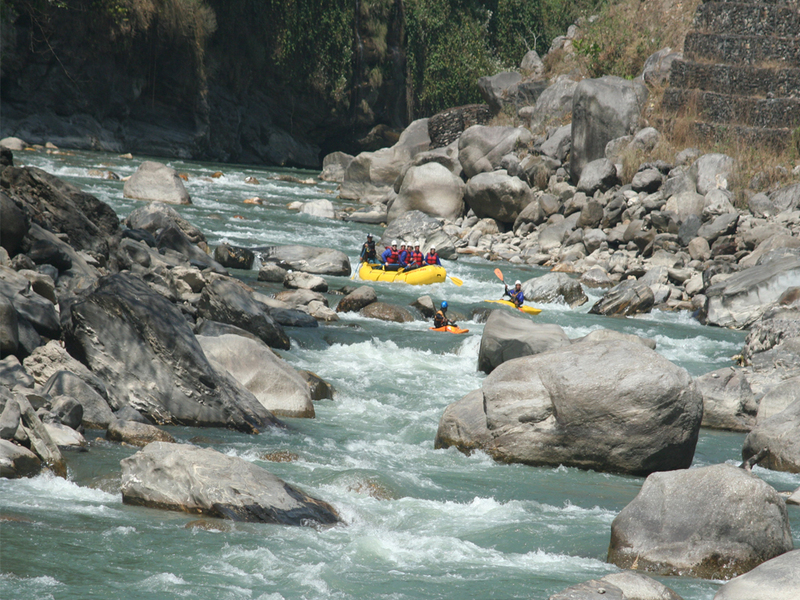 The best time to go Trishuli River Rafting is in March-April and September-October.